Reagent kit for detecting and counting metabolically active yeast cells, both of which are relevant parameters in samples from growing yeast cultures. 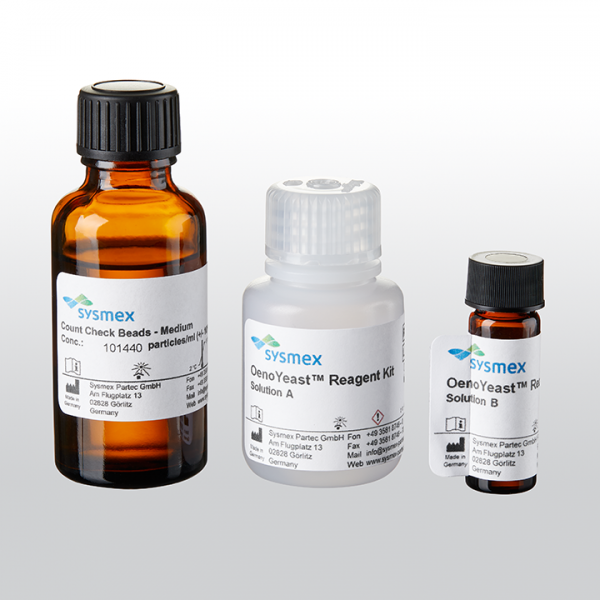 The reagent has been created specifically for selected configurations of the Sysmex CyFlow Cube and CyFlow Space flow cytometers. V. Gerbaux, & J. Thomas. Practical applications of flow cytometry to monitor yeast in winemaking.